Last Sunday was St Georges Day, a day which I don't really feel lie we celebrate enough here in England. It seems very odd to me that we have such big celebrations for St Patricks Day but not a day that celebrates our own England. Because of this I try to mark it in my own little way and so I put on my most English outfit (I felt like the little London soldiers and policeman were very English) and decided we should go out for a cream tea. We decided to visit Basildon Park and go for a bit of a walk, it turned out we were in luck as all the bluebells had come out in the wood and we were surrounded by a sea of indigo. 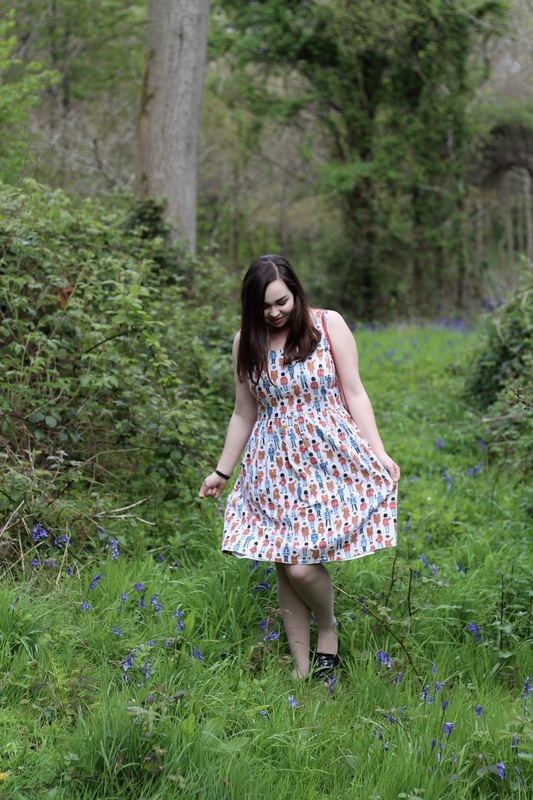 It was absolutely stunning and I really enjoyed posing for outfit posts amongst the flowers feeling like a woodland fairy. 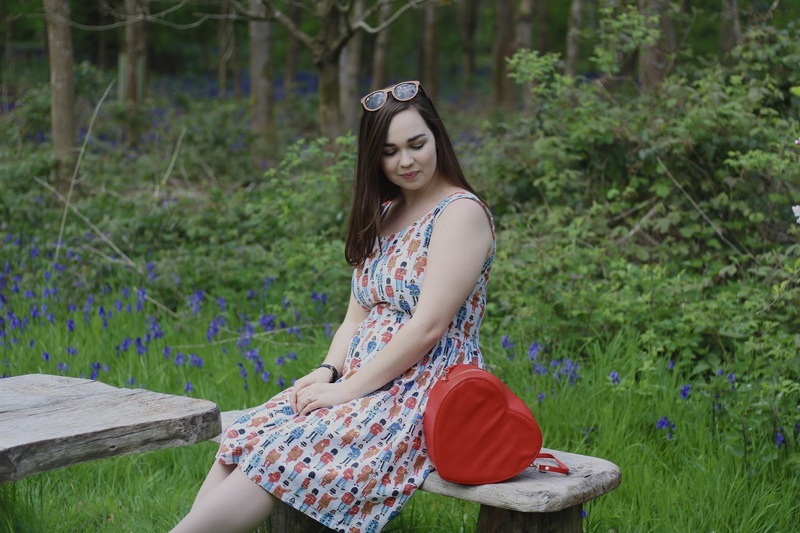 I bought this dress from Cath Kidston about 8 months ago and its one of those easy comfy pieces that I feel can go all year round. In my previous post I styled it with a jumper and little red trainers, this time as it was warmer I opted for bare arms and a cardigan for when the wind blew but its also a great dress to pair with wooly tights and boots in the winter. The bag was a present from my sister and brother for my birthday from Joanie, its such a cute shape and I think it will help add a bit of character to a lot of outfits.